Typhoid fever is an acute illness associated with fever that is most often caused by the Salmonella typhi bacteria. It can also be caused by Salmonella paratyphi, a related bacterium that usually leads to a less severe illness. The bacteria are deposited in water or food by a human carrier and are then spread to other people in the area. 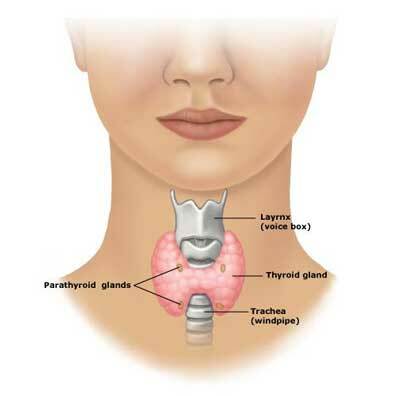 Thyroid gland : A gland that makes and stores hormones that help regulate the heart rate, blood pressure, body temperature, and the rate at which food is converted into energy. Thyroid hormones are essential for the function of every cell in the body. They help regulate growth and the rate of chemical reactions (metabolism) in the body.